Al and Walter Endriunas of Endriunas Brothers, Inc. initially started their company as excavators. Over the years, they also became involved in landscape supply, real estate devleopment, and the ski industry. In 1987, the Endriunas Brothers purchased Ragged Mountain, NH for $875,000. Their first significant expansion at Ragged was the opening of the Spear Mountain area in the 1996-97 season. The ski area went deeply in debt in 2001-2002 with the installation of a new high speed detachable six person chairlift. 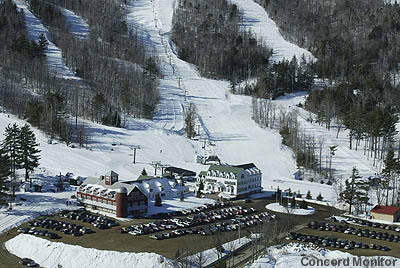 In August of 2000, the Endriunas Brothers signed a one year operational lease for Blue Hills, MA, with the idea of using it as a feeder area for Ragged Mountain. After operating the area for over half a decade, debt increased. The area was turned over to new operators after the 2006-2007 season. Also in early 2007, Ragged Mountain, NH was faced with foreclosure auctions twice. The area was eventually sold to the Pacific Group in May.